Growing up, you find yourself in or around a lot of groups, cliques and countercultures. Goths, punks, nerds, jocks, hippies. I was a little combo platter. I never wanted to be visually identified as part of any of them. As an adult, those identities all slough off and find yourself either an average joe or a freak of nature. In LA, we have a few extra groups. We have the actor/actress/models. You can point them out easily because they’re the ones that aren’t looking at you. We also have the douchebag power players. They won’t look at you unless you’re an actress/model. LA is also severely separated by race. I look around the lunchroom at my firm and every ethnicity is neatly placed at a separate table. The Armenians in one corner, the Latinos at another and the Filipino’s at another lunch hour altogether. Living in Seattle, I NEVER saw that. 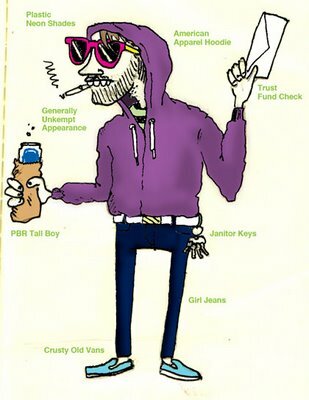 Which brings me to one more social group that has infiltrated Los Angeles, especially our dear Silverlake neighborhood. The name brings me chills. I find it amusing when people flock to a social group believing they’re expressing their individual indentity. Hipsters all dress the bloody same! I can’t tell them apart, these skinny jeans wearing trendoids who desperately want you to believe they were born in a vintage shop and are the angst-ridden child of someone famous. They come to the cool new places in LA, but they must make sure they look like they’re having a miserable time. From everyone’s bored facial expressions, they were clearly dragged there by someone. For being the 7th circle of hell, there sure was a line out the damn door. The tiny spot is lit up like the 4th and you are forced to sit very close to each other. 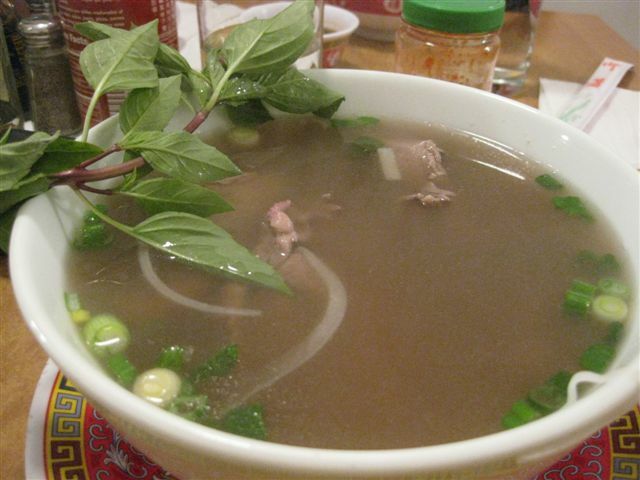 All that said, the Pho was damn good. I definitely approve. See pic above. The evening ended when both mine and my eating partner’s fortune cookies lacking a fortune. When I complained to the cashier, he looked at me sans interest and plopped a replacement cookie in my hand. I can only assume they mean relations with the hipsters.